Greek gods, Norse heroes, Polynesian tricksters, and Native American warriors�they all have lessons to teach us. Since the beginning of time, human beings have relied on myths, fairy tales, and fables to explain life�s mysteries. Bringing a fresh perspective to these age-old tales, Liz Greene and Juliet Sharman-Burke reveal how seekers today can find comfort and support in the legends and lore of the past. The Mythic Journey explores the psychological themes of many mythical traditions, recounting stories from Greco-Roman, Hebraic, Egyptian, Celtic, Norse, and various Eastern civilizations. 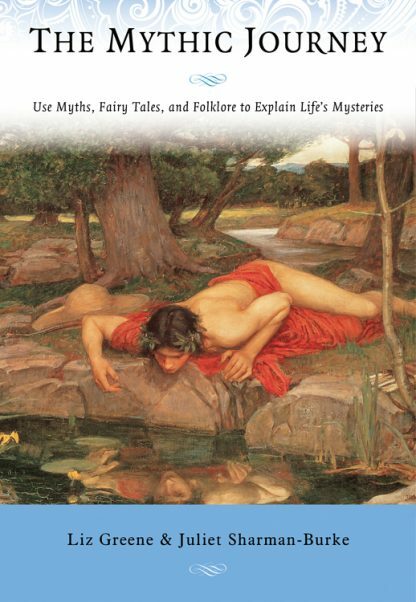 More than 50 myths are beautifully retold, and each is followed by a psychological overview explaining how we can apply the story to our own lives. The Mythic Journey is a handbook for human life, guiding readers from the conflicts of family and childhood, through problems of love, intimacy, and ambition, and ultimately to the point when we must face our own mortality. We discover that true self knowledge comes through facing life�s challenges with courage and strength; that beauty, talent, power, and wealth bring their own forms of suffering; and that in the darkness of loneliness, failure, and loss, we have always discovered new light and new hope. Juliet Sharman-Burke is a practicing analytic psychotherapist who has taught tarot and astrology for twenty years. She is the author of The Complete Book of Tarot, Mastering the Tarot and, with Liz Greene, the The Mythic Tarot card-and-book set.